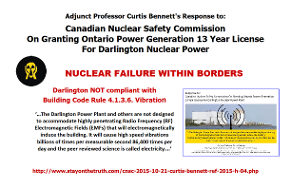 Professor Curtis Bennett's article 'Professionals Speaking Over Expertise on EMF Exposure Undermines Universities, Medicine, All Jurisdictions Creating Catastrophic Liability Regardless of Intent' received the greatest attention from attendees to our booth. It was so well received that many guests stated their thankfulness for endless hours and years of dedication for Professor Curtis Bennett's work while saving as many lives as humanly possible. "Friends of 'Dirty Electricity' and 'EMF' Conquerors" was highly appreciated for relaying the information. Others said that they would spread the word with their social media networks of thousands of connections. A couple of people brought over their friends or family members to learn many reasons why low level microwaving ourselves and the planet is so dangerous, from causing Permanent Brain Damage to Nuclear Failure Within Borders. One visitor queried repeatedly to learn why Dr. Magda Havas, Ph.D., was a 'no show' after 'Dr. Magda Havas was invited to submit a lecture at that highest accredited level'. The answer to her was restated three times as "unknown". This lady was very visibly annoyed and immediately left to go and ask Dr. Havas in person why she did not respond to the Medical Administrator. 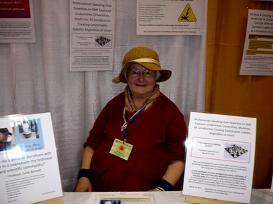 A couple of people were totally miffed that Dr. Magda Havas was charging a large amount of money for her information when the purest and highest level of education in EMF Harm combined with the sole real solution was right on the table at the back of the show for free. One visiting lady left the booth rapidly, just in time to ask for her large amount of cash to be refunded from Dr. Magda Havas, Ph.D. before the show closed for the year. One very astute guest remarked that there would be a stampede to the booth if there was a huge sign with the announcement "Checkmate is coming NOW!" Two natural health media guys passed by, not stopping to learn the exclusive massive breaking news. 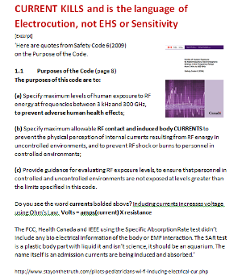 Several guests identified themselves as school teachers, thrilled to find the accredited medical education of how exposures to cell phones or other portable wireless devices, WiFi and all RF EMF radiation sources contributes to violence and school shootings. A retired nuclear physicist and many other visitors to our booth were alerted to the fact that within BWXT Nuclear Energy Canada’s Toronto facility, ceramic pellets are made from natural uranium powder, right at 1025 Lansdowne Avenue and 5G is already being installed in very close proximity. 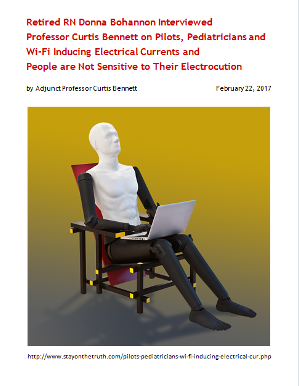 A good number of people walked away, after expecting an evaluation of what sort of button would work to protect them if they stuck it on their cell phones to enable them to live in the "microwave oven", as Professor Curtis Bennett calls it when he teaches. They received a gently spoken logical reality check that they were not expecting, by asking each of them what kind of button would prevent Nuclear Failure Within Borders? Avoid Permanent Brain Damage? 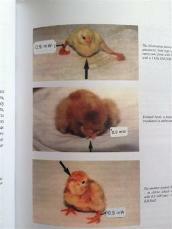 Reverse Genetic Mutations? What tiny gadget will turn off the Ecocide that they are paying for - the destruction of Humanity, creatures, bees, crops and trees from the blanket coverage of the towers that are on 24/7, even if their cellular phone is turned completely off? 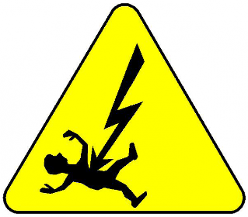 A small portion of visitors could not shake off their dark discouragement, caught in disbelief that the end of electrocuting us at the subtle energy level is near. One said "I'll see you doing this for the next 10 years." In contrast, many regular visitors return each year delighted to discover what is new. Some people shared their personal experiences, knowing how they were hurt by EMFs and were looking for better answers than what they had previously received. Others validated what they suspected was the trouble. A few had made recoveries that they expect would be short-lived as the Electrosmog was to be substantially increased. A gifted woman felt the high vibrant energy from a great distance from the booth and was drawn to come straight down the aisle, following her spiritual guide, and telling how she was unable to visually see any other exhibitors, thrilled to to the brim to find a like minded soul. [Page] Boeing Engineers Use Potatoes For Wi-Fi Safety on Airplanes?? 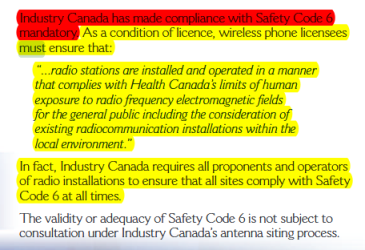 [Page] Contact Us "Friends of 'Dirty Electricity' and 'EMF' Conquerors"
Wednesday, April 17, 2019 at 00:25"
Rodney should have been the investigative reporter he was, you can't sell saunas and call them toxin free while RF EMFs are assaulting them in the sauna.